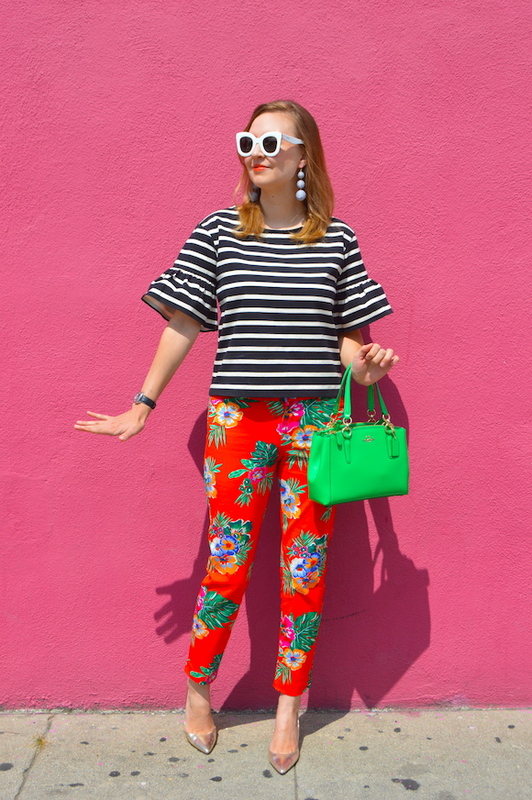 Nothing says hello summer like some fun floral cropped pants! I’m wearing J.Jill’s Soft Rayon-Twill Wide Leg Cropped Pants in the Deep Blue Lush Garden print. Isn’t it a pretty print for summertime? Also be sure to check out the cool Deep Blue Island Foulard, as well as great basic colors like white, black, and navy. I’m wearing a size small and I think even an XS would’ve worked, though I prefer my summer clothing to be flowing and loose if possible! I paired the pants with the J. Jill Lace Appliqué Linen Sweater that you might remember from this post. I love a lightweight summer sweater! HOW CAN I WEAR THEM? Look for these pants to show up again soon on the blog and/or my Instagram account with a cute tee. Right now the mornings have been overcast and a little sweater was the perfect partner. 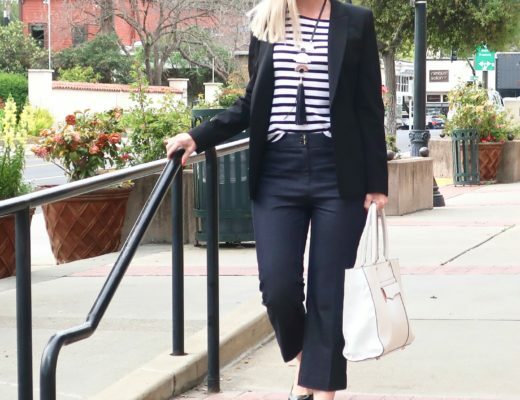 Along with casual looks, you could also wear these pants with a blouse and even a blazer for a work look, a cute off-the-shoulder top for a date night, or a tank and flip flops for the beach. 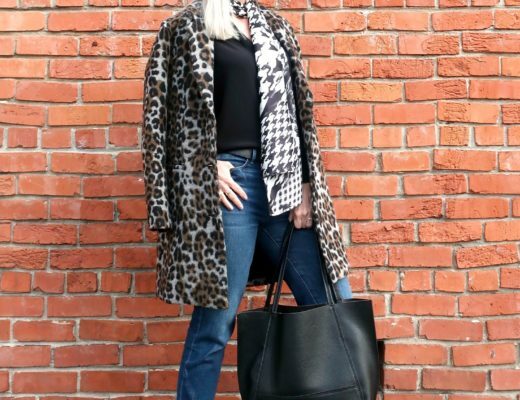 I love versatile pieces! J. Jill gave me this outfit to review on my blog. All opinions are all my own as always. Sign up for the Fun Fashion Friday weekly newsletter and get sales alerts and special content! Since I’m really feeling this floral pants trend, I had to choose Katie of Hello Katie Girl as the fav of the week. Look at those pants!! Go, Katie, Go! Be sure to link up, Dolls! Remember you don’t have to be a blogger to link up, go ahead and link up any style or outfit post from Instagram as well! Those pants are so perfect for the summer!! You have such great taste, Dawn! Such adorable floral fun going on here beautiful lady!! I hope you have a glorious weekend! I am loving the variety of floral pants currently available- they are totally perfect for summer!! Thanks for the inspo, you look fab!!!! I’m a huge fan of floral and crops so it’s a match made in heaven to see J Jill offering this pair up. You look great and ready for a fabulously relaxing summer. Thanks for sharing and for hosting. Thanks for hosting sweetie, have a great weekend! Glad you are enjoying your summer vacation! Those floral pants scream summer! Love this fab look! Love your pants Dawn!! That outfit is fabulous! You are seriously too cute. Those pants look fabulous on you! These floral pants are awesome. Great look. Thanks for joining the Top of the World Style linkup party. Love your floral pants! 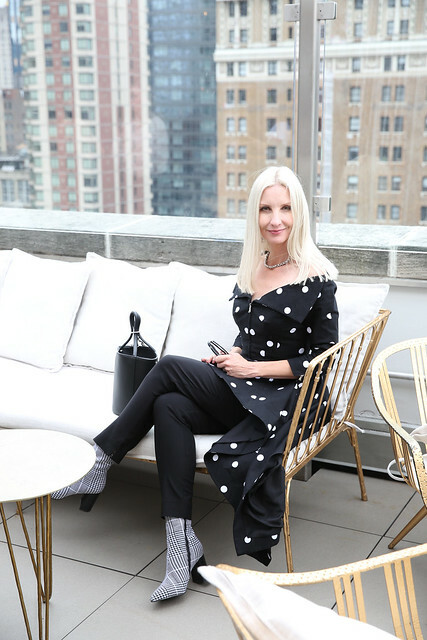 Thanks for featuring me today in your post! I hope you have a great weekend! You always ,,model,, your outfits so relaxed! Happy weekend! I loved cropped floral pants for summer! These pants are so fun and loving the pink bag and wedges with it! Perfect summer look. Thanks for the link up! Thanks for the link up! Those pants look fabulous on you! You really hit the nail on the head with this one! This cropped pants are a perfect summer staple and so pretty! Hope you can stop by Ladies Who Link Up today! Peace! You are just too cute! Love this look! Those cropped floral pants are so fun and look great with your fab navy top! You made me realize, while I do have a lot of printed pants, I do not own any floral pants. Adding to the list… 🙂 I am currently watching House of Cards new season and next on the list is Twin Peaks. Have a wonderful weekend! These pants are so fun! Love how you styled them. How fun are those crops?! Love the pants! So colorful and the dark top looks lovely with them! Love the pink bag too, great color mix. I watched all of the seasons when Twin Peaks was on and did my Minor in Music Tech project using the theme song. Now, I have to get into this 3rd season. Those pants are just adorable! I am loving the causal ease of this summer look! Those are just the cutest pants! Love the fun, floral print! Perfect styling! Those sure are some fabulous pants! I love this look, Dawn Lucy! 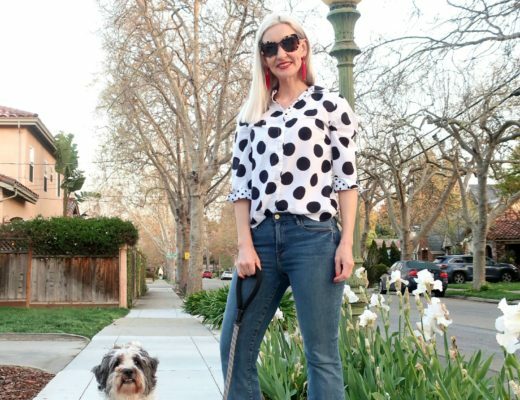 This is absolutely one of my favorite ways to dress in Spring and Summer…a beautiful pair of boldly printed cropped lightweight pants and a loose comfortable top. Your sandals are the perfect pairing as well! Beautiful. I already stopped by and commented on your post but wanted to come back and say thank you for joining Ladies Who Link Up and I hope you will join us next Friday! Peace! Your floral pants are so fun! Great for the summer and you styled them perfectly with you pink bag and wedges.